As you may know, unexpected things can happen really at any time. Most of us probably have a pretty standard routine we follow every day, but all it takes is a little wrench to be thrown into the works for everything to suddenly get out of whack. For instance, if your alarm does not go off in the morning and you wake up late, now you have to rush to get to work on time. That may mean skipping breakfast, forgoing a shower, and perhaps driving too fast. And the latter could lead to an accident or maybe some unwanted attention from the police. If you have already had a few run-ins with the law, now you could be in some serious trouble. In this case, you may need to seek help from a bail bondsman. This is a quick way that you can make bail and get back to your life. And with 24 hour bail bond service, even if you need assistance late at night or on the weekends, you will be able to get it. You have probably seen a TV show or movie where a person gets put in jail and sometime later they are told that they have made bail. When an arrest is made, in most cases the defendant has two choices. They can either remain in jail until trial – which may be a long time – or pay the bail ordered by court. Because bail can be high, many people decide to use a bail bondsman, who pays a percentage of the total and then takes temporary legal custody of the defendant. The defendant will need to pay that percentage back as well as the service fee. The clear benefit of a reputable bail bond company that offers 24-hour service is that it will be there for you when you need it. As mentioned earlier, you just never know when something unexpected may happen, and you can count on a 24 hour bail bond agency to help get you out of a jam no matter the time of day. Another reason to go with a trusted bail bondsman is because everything will be expedited quickly and discreetly. Getting arrested is never a pleasant experience, which is why you will only want to work with established professionals. 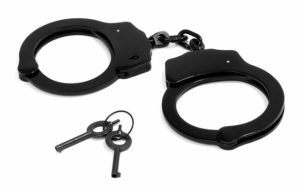 While you surely never want to be in a situation that involves handcuffs or jail cells, completely unanticipated things can occur. This is why Around the Clock Bail Bonds was created. We understand that this can be a difficult situation, which is why we will make the entire process as smooth and painless as possible. You may not need us now, but you or a loved one might in the future, so remember: No matter when you require help, we can provide you with it 24 hours a day, 365 days a year.